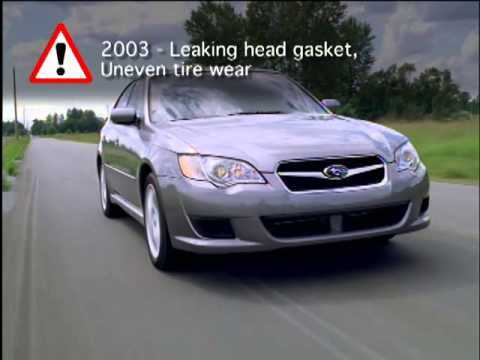 The 2009 Subaru Legacy occupies the sparsely-populated space between high-value family sedans and premium sports sedans, offering some of the best characteristics of both. The Subaru legacy is car that can be driven for many years. Subaru legacy is a great commuter car. Some of the features of my car include AWD, sunroof, and a great stereo system. My Subaru legacy has power seats and a large trunk space with fold down back seats. The things that I do not like, the gas mileage could be better and the space inside the Subaru legacy is quite small. It is comfortable for a short, small person but anyone over 5'10" will be inches from the top of the car. It is not a family car as we have outgrown it quickly. It is the type of car you can pass on to your child after years of owning. The reliability of a Subaru legacy is unmatchable and they tend to run for a very long time. But when something does go wrong repairs can be quite costly. We love our car! It is comfortable, fuel efficient, safe, and reliable! Our car gets great gas mileage and is extremely comfortable (both as a driver and passenger). We make at least two trips to pa every year and even those long trips are surprisingly comfortable. Recently, the only inconvenience we experienced was when our check engine light came on, our cruise control wasn't available. In our household, this car is the most popular daily driver, and we've even elected to use just that car for the day because we both love it so much. You don't feel like you are slipping over the road when It's wet and snowy. The Subaru legacy is easy to drive and great in the rain and snow. There is maintenance that is an added expense when you reach 100, 000 miles, but the car runs great and will make it to 100k and more. The driver's seat is power operated. The car can fit 5 adults comfortably. The trunk is large and provides more enough storage for 5 women to go to the beach for a long weekend. The exterior is easy to maintain, even with infrequent washes. Review: 2009 Subaru Legacy 2.5i! Perfect first car for your teen?